Google unveiled today a new approach to YouTube copyrighted material that includes requiring violators watch a PSA-style video and pass a test. Google has been loudly criticized for allowing users to post copyrighted material on YouTube. In 2007, Viacom filed a billion dollar lawsuit against Google, claiming YouTube had perpetrated “massive copyright infringement” by hosting infringing content. And just last week, Google was criticized during a congressional subcommittee hearing for failing to sufficiently crackdown on copyright violations on its websites. Previously, Google has resorted to warning users that posting copyrighted material may result in their accounts being revoked. Now, if YouTube catches you uploading an authorized clip, you’ll be treated to a four-and-a-half minute “YouTube Copyright School” animated video (see below) featuring the stars of the Happy Tree Friends videos. “We want to help our users operate within the law and within our guidelines. Requiring that people complete copyright school after receiving a copyright notification means they’ll understand why their actions were wrong, come away with a better understanding of the law and be more likely to comply with YouTube’s guidelines in future,” a YouTube spokesman told Politico. 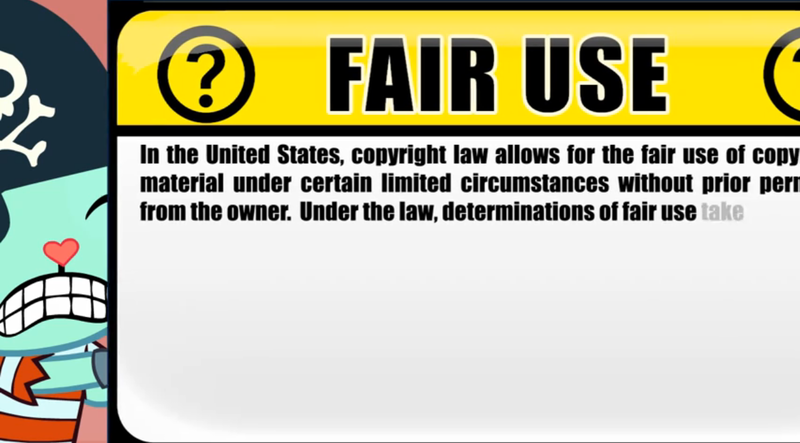 In the past, copyright violations have gone on users’ permanent records. As part of the new policy measures, Google is allowing offenders a path to redemption. Now, if violators watch the “Copyright School” video and steer clear of any additional violations, Google will remove copyright strikes from their records. Google also launched a new Copyright Center on its YouTube wesbite to inform users about copyright laws and the consequences of violating them.